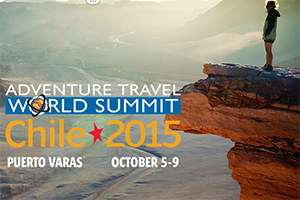 Sales Director Jeremy Perrin will be attending this year’s Adventure Travel Summit taking place in Puerto Varas, Chile from 5th October, and gathering the world’s best adventure operators and travel writers. You can meet Jeremy during the event and also at the CaminoWays.com marketplace table. 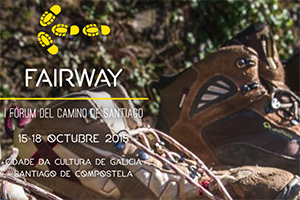 FairWay is the first ever Camino de Santiago forum and travel show taking place at the Cidade da Cultura in Santiago de Compostela from 15th October. Director Roland Monsegu and Reservations Manager Valeria Rachele will be representing CaminoWays.com at stand 117 and available for meetings. World Travel Market WTM is one of the biggest travel shows in Europe, taking place in London from 3rd to 5th November. Jeremy, Roland, as well as Marketing Manager Maria Golpe and Emmet Roche, responsible for product development will be available for meetings at this year’s show. You will find them at CaminoWays.com, stand EU1506. Jeremy, Roland and Emmet will be available to meet with destinations, travel agents and other organisations; while Maria will be available for all media requests.